Barkby United director of cricket Tom Flowers has hailed the club’s strength in depth as the County League season ended with Premier Division survival for the First XI and promotion for its other Saturday sides. The First XI beat champions Sileby on Saturday to end a tough second half of the season on a high note and secure ninth place. The Second XI clinched the Division Four East title with two games to spare, while their Third XI finished second in Division Eight East. 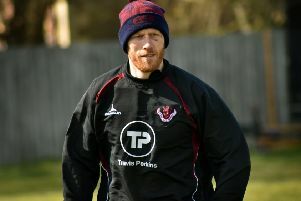 Flowers said: “We can be happy with the season overall, with the Seconds and Thirds getting promotion, and the Firsts managing to sustain Premier League status for a second year running. Flowers will take over as skipper from brother Steve next season, and hailed the impact of newcomer Cameron Sharp who took 36 league wickets in his debut season, as well as homegrown prospects Ben Hollis and Matt Bartram. “It was always going to be a tough second season with teams knowing more about you,” Flowers added. “But despite losing Ian Kirk and Rob Townsend through availability, and myself, Will Fazackerly, Harry Funnel and Jack Johnson for a large proportion of the season, the lads have performed admirably. “Steve has been a huge factor in the club’s success in the past five seasons, and hopefully we’ll have another big season from him with the bat in 2018. And there was further success for Tom away from the club as he helped coach the England learning disability team to tri-series victory over Australia and South Africa. The achievement was rewarded with a reception on the pitch at Lord’s during the West Indies Test match earlier this month.